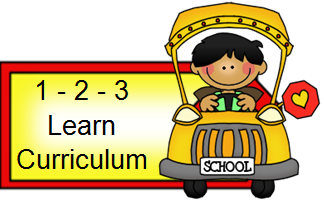 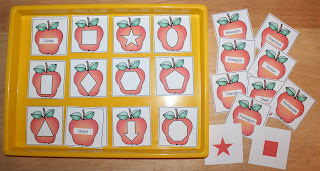 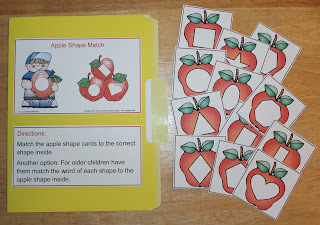 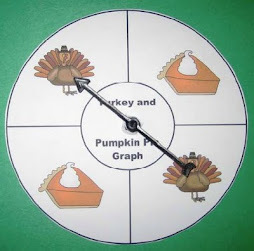 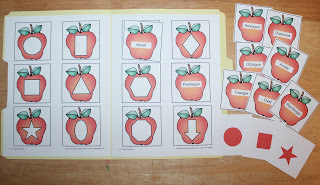 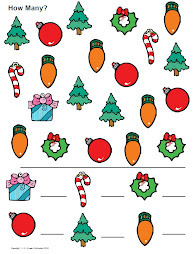 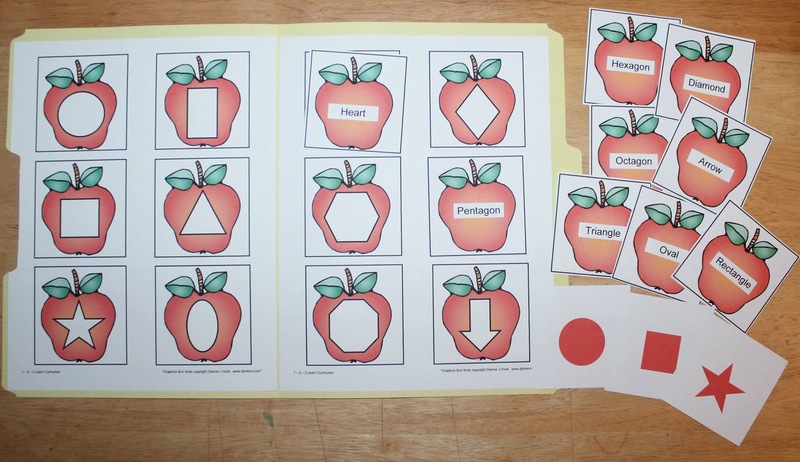 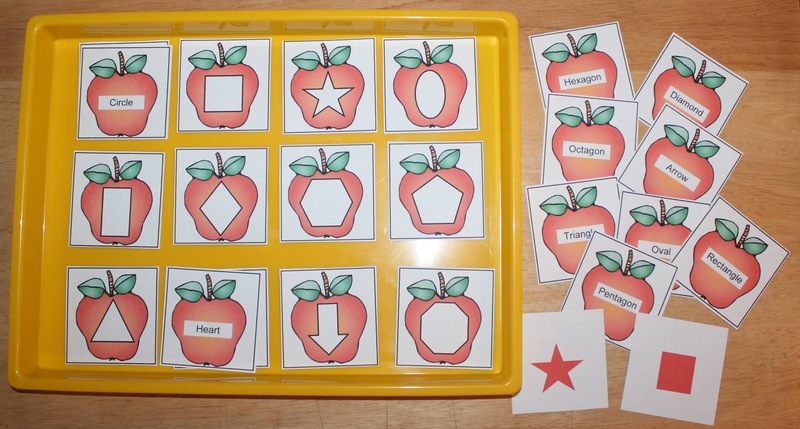 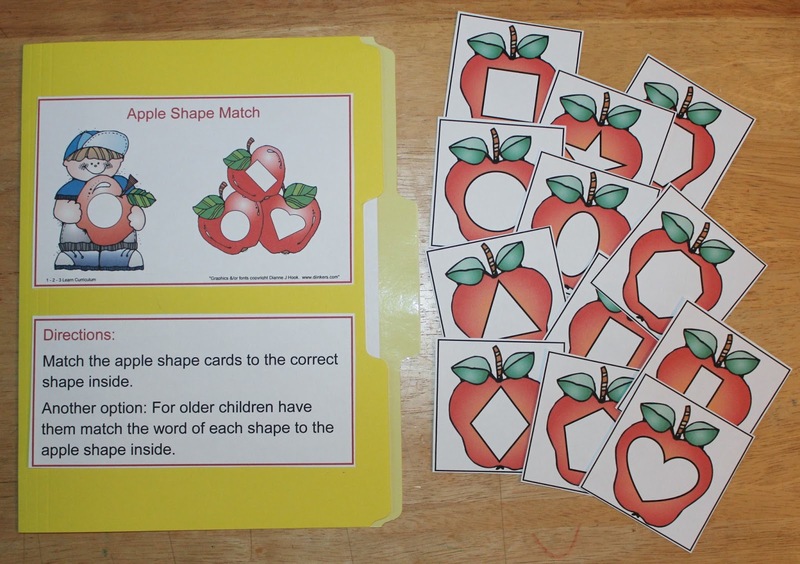 I have added an apple shape file folder game to 1 - 2 - 3 Learn Curriculum - under the apple tree link. 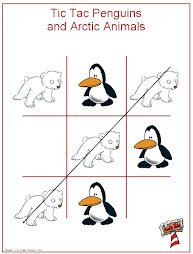 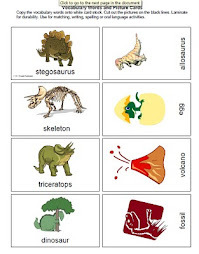 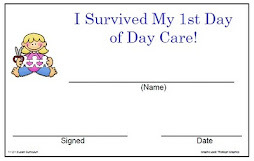 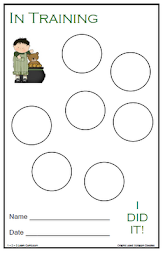 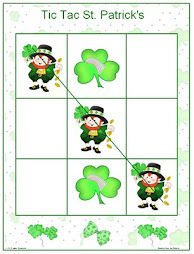 You can also use this file as a tray activity. 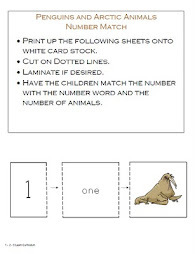 Directions are included with file.